A one of its kind Leadership Summit & International Excellence Awards by Aesthetics International, dedicated exclusively to the Breast Cancer Awareness Programme-The Pink Ribbon is scheduled from 4th-5th May in Meerut, India. 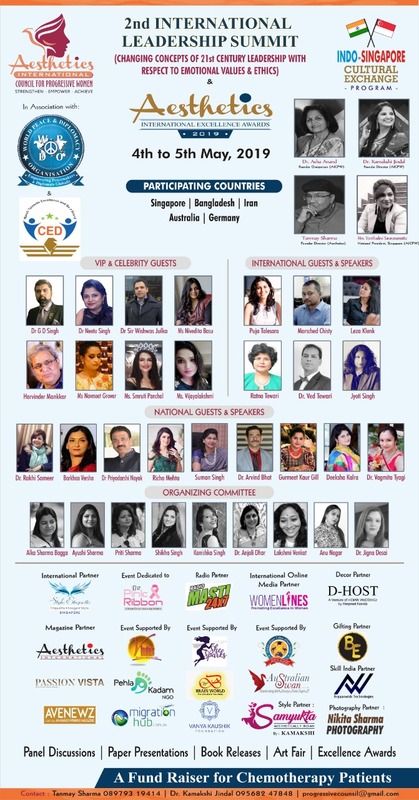 This is one of the most prestigious and educative summits by Aesthetics International Council for Progressive Women (AICPW). It is a fundraiser for chemotherapy patients and also dedicated to the promotion of Indo-Singapore Cultural Exchange Program. Summit is also emphasizing on the importance of how excellence in emotional leadership can be used to deliver higher performance. 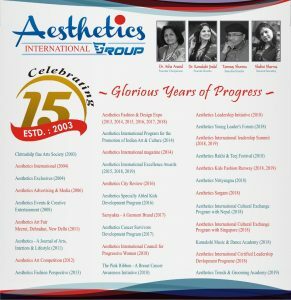 Aesthetics International is a diversified group providing clients and associates with a variety in the form of Interiors, Advertising, Fashion, Education, Apparel, Grooming, Image Building, Consultancy, and a number of social programs and activities. 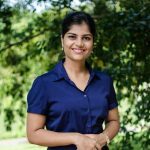 In the year 2018, Aesthetics had launched a female wing of its 15-year-old NGO – Aesthetics International Council for Progressive Women ( AICPW ) is a unique concept designed exclusively for Dynamic and working females who are actively involved in Business, Social Initiatives, Education or other commercial and social endeavours. The mission of AICPW is to empower and strengthen diverse female leaders through Education, Promotion and Cooperation so that they can achieve equal representation in corporate and social leadership. Bringing together global leaders, this Summit is bringing the influencers and innovators from five countries namely Singapore, Bangladesh, Iran, Australia, and Germany. The aim of gathering all leaders from diverse fields and backgrounds is to examine and decipher a new paradigm of Leadership that breaks down current barriers. People from diverse backgrounds like educationists, corporate people, leadership and life coaches, doctors etc are part of this summit. The objective of the Summit is to endorse and implement groundbreaking transformational and innovative strategies, success stories, and cultures from national/global leaders and corporations. The Summit will also provide a unique platform, a wealth of resources, inspiration, and motivation for delegates, female leaders and young entrepreneurs (who represent the next generation of pioneers and global leaders in this paradigm shift) to pitch their business and create more brand awareness. 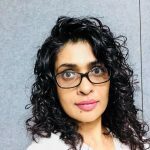 Dr Asha Anand – Retd. Prof. ( Fine Arts ) I.N.P.G. College, International Artist, Founder Chairperson Aesthetics, President Cancer Survivors Association. 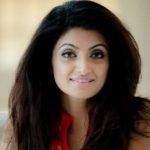 Dr Kamakshi Jindal – Celebrity Image Consultant, Fashion Stylist, Trend Identifier, Event Curator, Cultural Ambassador for Iran, Turkey and Singapore, Executive Director Aesthetics, Founder Director AICPW. Vanitha Saravanamuttu – Director Style Etiquette Pte. 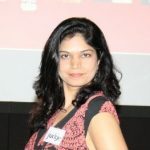 Ltd. Singapore, Founder Miss/Mrs. Singapolitan Worldwide, Celebrity Image Consultant, Leadership Coach. Tanmay Sharma – Certified Training & Development Coach, Founder Director, Aesthetics, Branding Consultant.